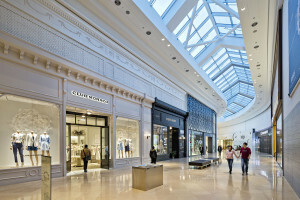 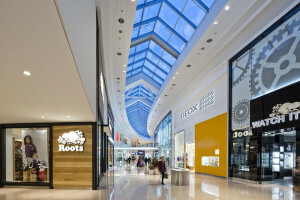 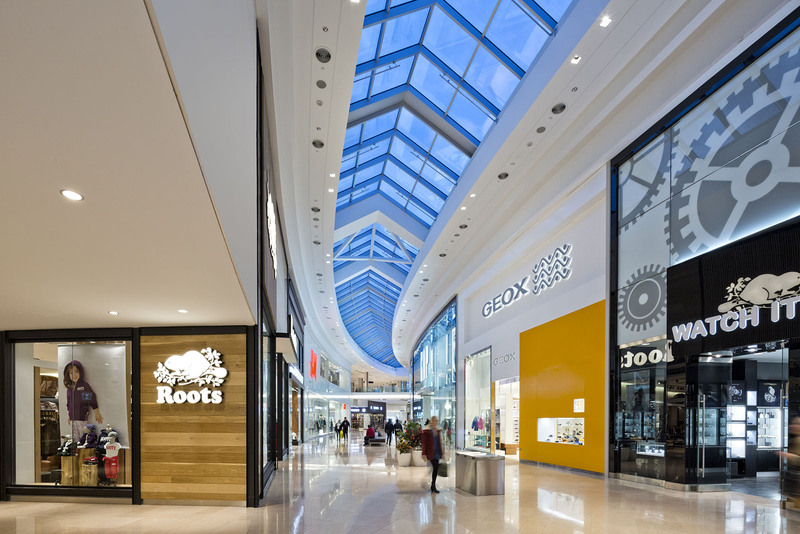 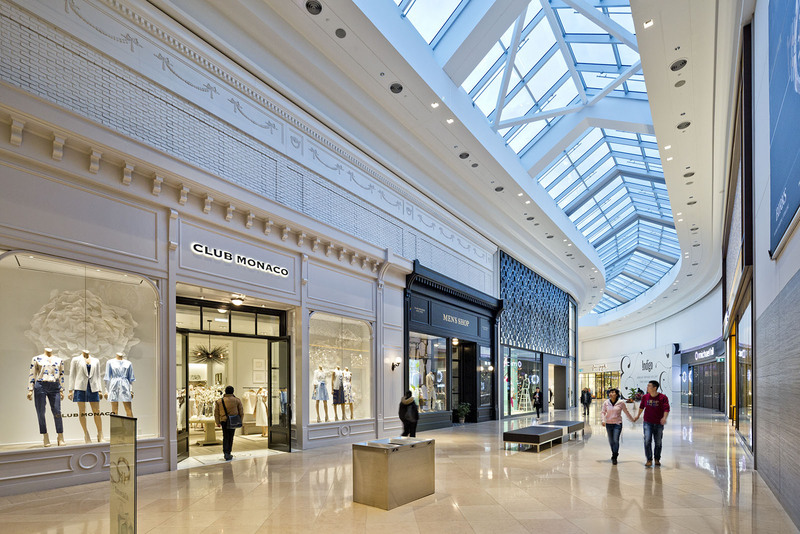 Photographed the latest stages of the expansion at Sherway Gardens Mall for GHA Design, Montreal. Very early start to get the right light and the Food Court without people; organizing the chairs etc took way longer than the photography. 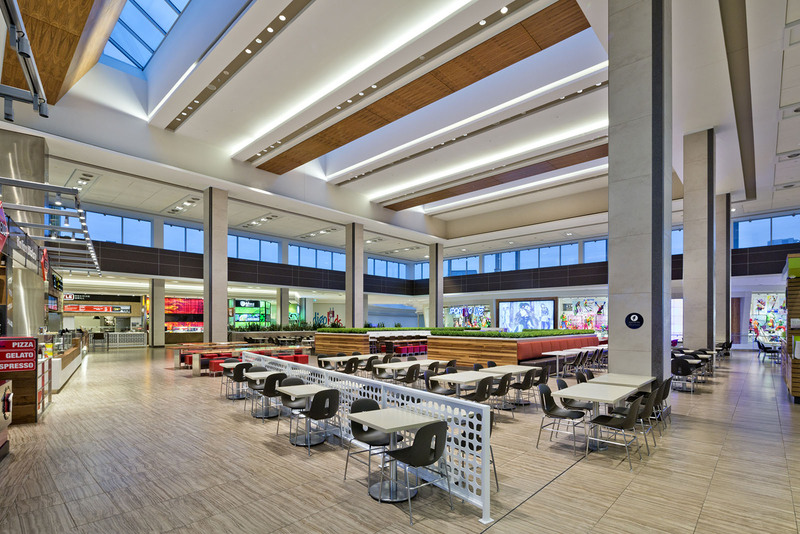 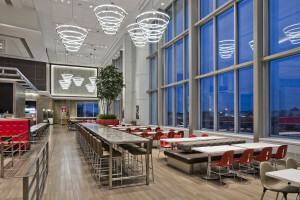 Magnificent high ceiling in the Food Court similar in style to the Dining Terrace at the Richmond Centre, Vancouver which I shot in 2014. 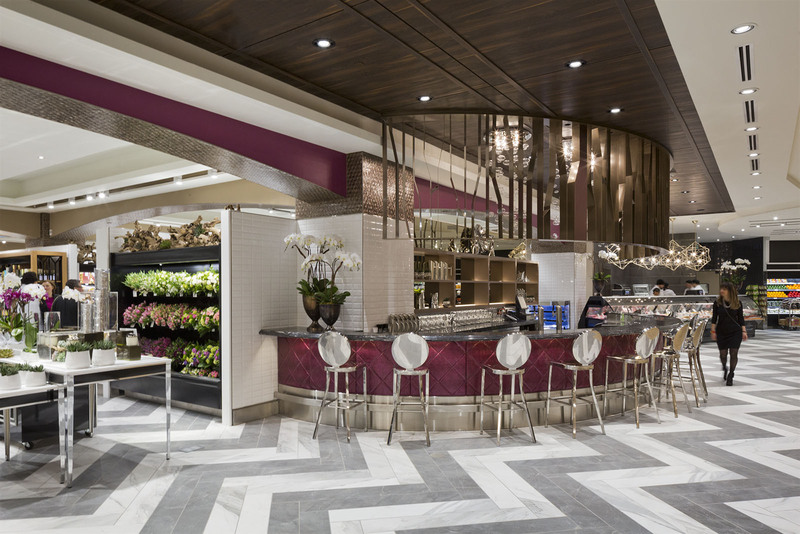 The new Pusateri’s Food Hall in Saks is now open, also designed by GHA, taking high end grocery shopping to a new level.